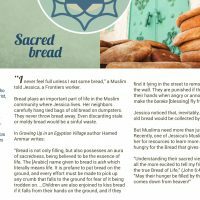 “I never feel full unless I eat some bread,” a Muslim told Jessica, a Frontiers worker. Bread plays an important part of life in the Muslim community where Jessica lives. Her neighbors carefully hang tied bags of old bread on dumpsters. They never throw bread away. Even discarding stale or moldy bread would be a sinful waste. Jessica noticed that, inevitably, those little bags of old bread would be collected by some hungry soul. But Muslims need more than just physical aish. 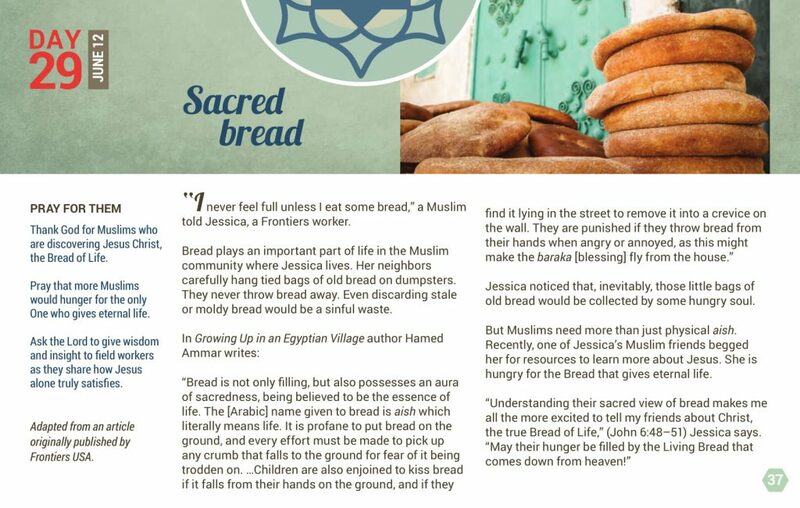 Recently, one of Jessica’s Muslim friends begged her for resources to learn more about Jesus. She is hungry for the Bread that gives eternal life. Thank God for Muslims who are discovering Jesus Christ, the Bread of Life. Pray that more Muslims would hunger for the only One who gives eternal life. Ask the Lord to give wisdom and insight to field workers as they share how Jesus alone truly satisfies. Adapted from an article originally published by Frontiers USA.